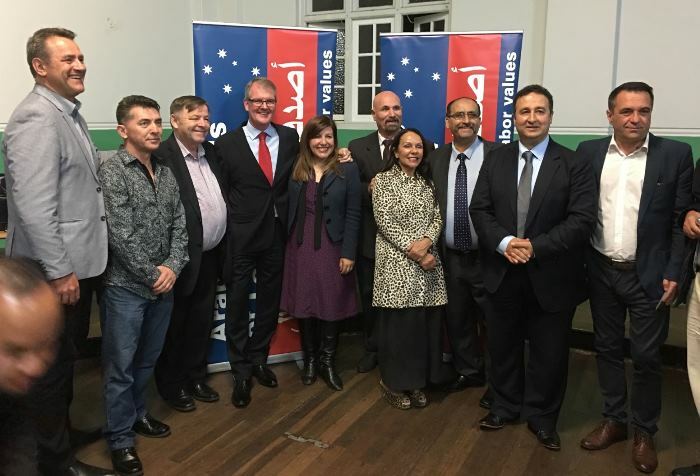 On Monday, 24th Oct 2016, Arabic Friends of Labor and Labor Party Bexley Branch hosted an event for Support of Sophie Cotsis for Canterbury. 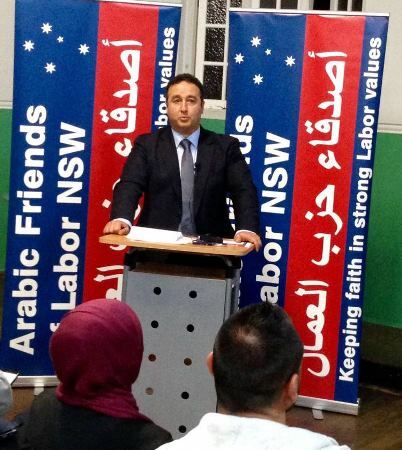 State Deputy Leader of the opposition Honourable Michael Daley was Chief Guest of the evening. 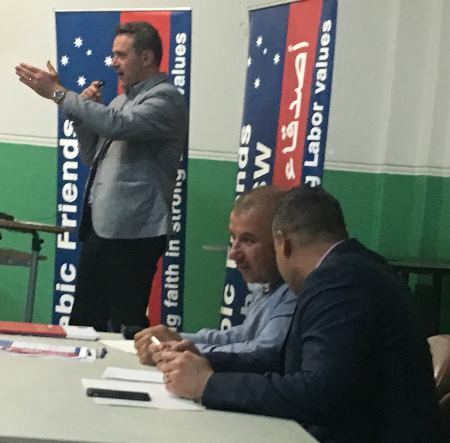 The former Deputy Opposition leader Now Federal MP for Barton Linda Burney and other Members of Parliament attended this meeting in support of Sophie Cotsis for Canterbury. The Conveyor Arabic Friends of Labor Hon. 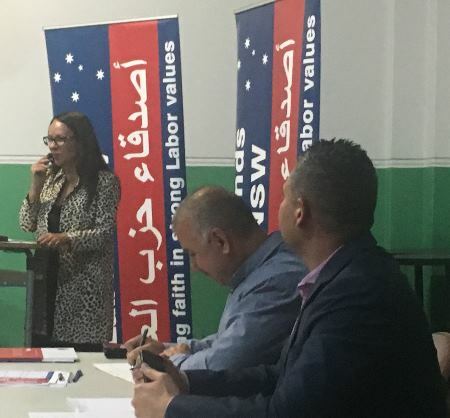 Shaoquett Moselmane and other team members work hard for Sophie Cotsis who is bright star of Multicultural Communities in New South Wales and have a well achieved record of sincerely services as MLC & Shadow Minister for Women, Multiculturalism, Ageing and Disability Services. 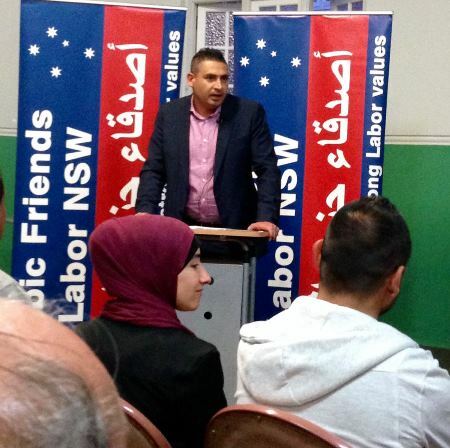 These are some photos for readers of Sada e Watan of Monday night’s Arabic Friends of Labor and Bexley Branch joint event with members of Parliament Linda Burney Federal Member for Barton Steve Kamper Member for Rockdale and Deputy Leader of the Opposition Mr Michael Daley MP as guest speaker supporting Ms Sophie Cotsis for the state seat of Canterbury at the by-election on the 12th of November. 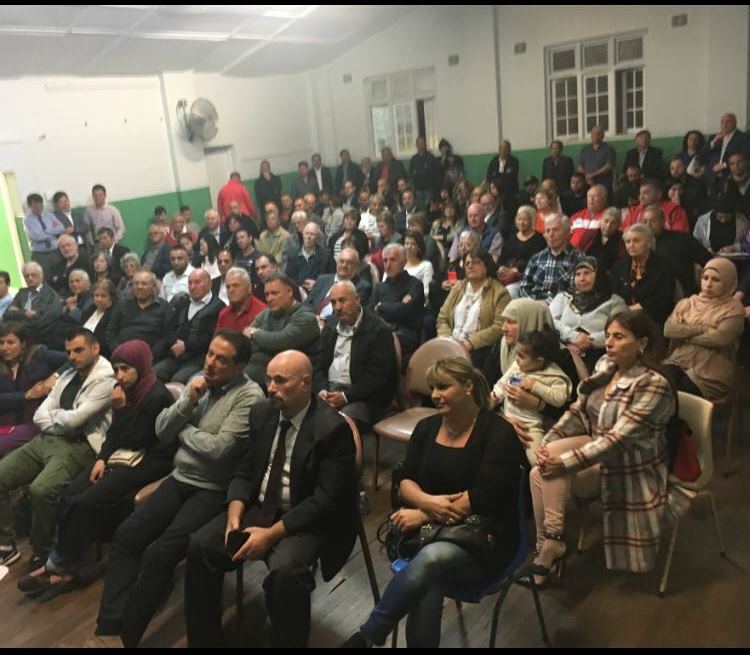 Special thanks to Joe Awada ,his wife Nariman Awada, Tarek Ibrahim and Mariam Ibrahim, Louay Moustapha & Reem Moustapha for putting together a wonderful event. 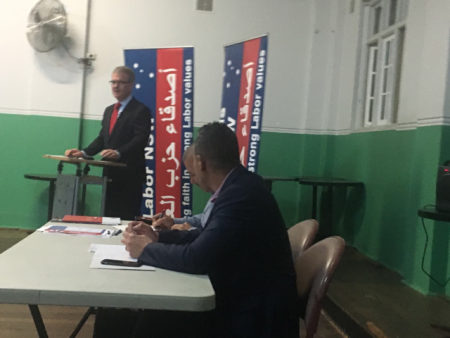 Special thanks to Michael Daley MP for outlining the arrogance of Premier Mike Baird in making decisions with our consultation and privatising everything under the sun. 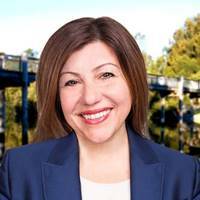 Sophie Cotsis (born 1973) is an Australian politician. 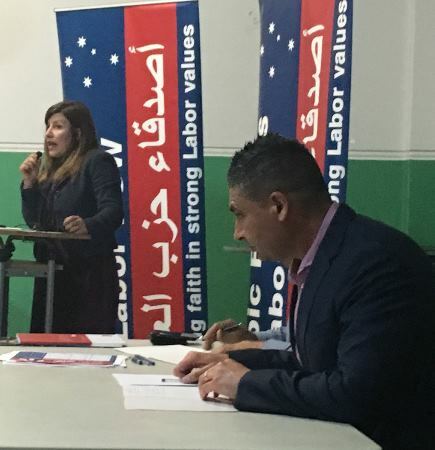 She was a Labor member of the New South Wales Legislative Council from 7 September 2010 to 16 September 2016, when she resigned in order to contest a by-election for the Legislative Assembly seat of Canterbury. The daughter of Greek migrants, Cotsis grew up in the St George district together with her brother. She was educated at Canterbury South Public School and at Kingsgrove High School before matriculating to Macquarie University where Cotsis became a member of the University's Hellenic Studies Foundation and established a program that preserved the Greek language and Hellenic heritage at the University. Graduating with a Bachelor of Arts from Macquarie University, Cotsis later completed a Master of Legal Studies at the University of Technology, Sydney. Prior to entering Parliament, Sophie Cotsis was a hospitality worker at Sydney Airport, later becoming an official with the Labor Council of New South Wales and subsequently the Liquor, Hospitality and Miscellaneous Union. 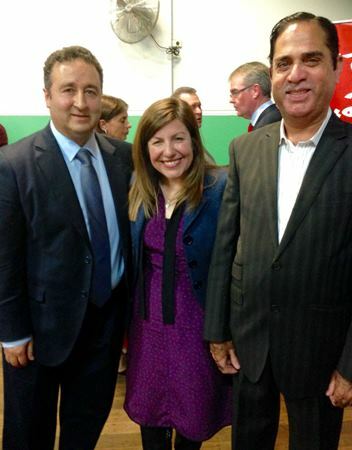 Sophie Cotsis joined the Labor Party in 1993 and always fight for people rights.Sophie's interests are in history, reading, swimming, basketball, soccer and rugby league. She is married with two children.